Concerta was the first truly long-lasting, extended-release form of Ritalin. (Technically, Ritalin SR came first, but it didn't really last all day for most kids, and it definitely didn't provide the 12 hours of symptom control that Concerta offered.) The benefit of this all-day relief from symptoms of ADHD (attention-deficit/hyperactivity disorder) meant that kids with ADHD no longer had to line up during lunch to get their ADHD medicines from the school nurse. Concerta is a central nervous system stimulant that is used to treat children and teens with ADHD. It can be prescribed to children who are over six years old, although, since it is a pill that must be swallowed, even some young children who are over age six may have problems taking it. Together with Adderall XR, Concerta is one of the two most commonly prescribed ADHD medications for children. It lasts for 12 hours in most kids, helps to control all of the core symptoms of ADHD—including inattention, hyperactivity, and impulsivity—and has a relatively low incidence of side effects. The active ingredient in Concerta is methylphenidate HCl or Ritalin. Concerta is available in 18-mg (milligram), 27-mg, 36-mg, and 54-mg capsules. Teens can take up to 72 milligrams of Concerta per day as two 36-mg capsules. You can't open, crush, or chew Concerta, unlike many other once-a-day ADHD medicines, which limits its use in younger children who can't swallow pills. Like other stimulants, Concerta has side effects that sometimes limit its usefulness, but its side effects are not as common as you might expect. Concerta is usually well tolerated by most children and adolescents. The most common side effects are headaches, stomach pain, sleeplessness (insomnia), and decreased appetite. Other side effects can include nausea, vomiting, dizziness, nervousness, tics, allergic reactions, increased blood pressure, and psychosis. If your child is having minor side effects, they can often be controlled by lowering your child's dosage of Concerta. So ask your child's pediatrician if that's a possibility. If the side effects continue after a dosage is lowered or if your child is having unacceptable side effects, then he or she should likely be switched to a ​different ADHD medication. 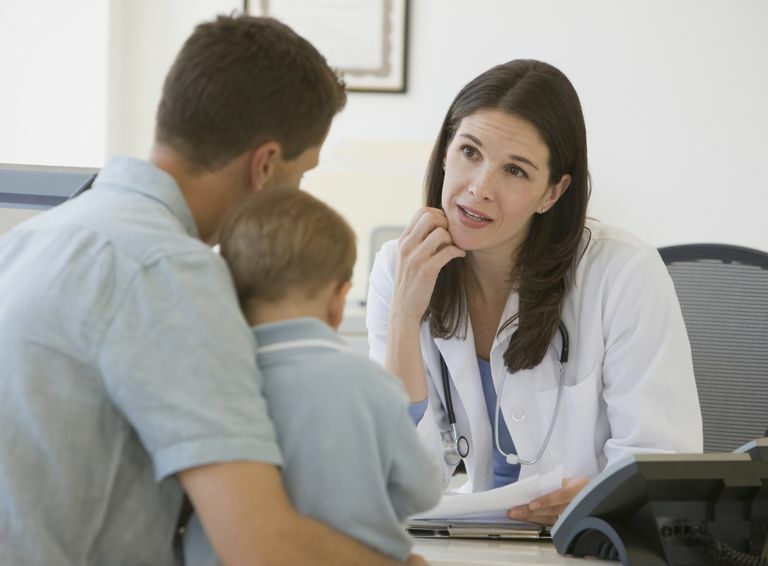 Ask your child's pediatrician if there are other options to try. Your pediatrician should also monitor your child's growth and blood pressure while he or she is taking Concerta to watch for any potential problems. Concerta is one of the first-line therapies that is recommended by the American Academy of Pediatrics and the American Academy of Child and Adolescent Psychiatry. Don't be disappointed if you don't see great results with your child's first prescription, though, as your pediatrician may need to adjust your child's Concerta dosage up or down to get it just right. Keep in mind that many problems with Concerta can be fixed by a dosage adjustment. Since Concerta lasts for 12 hours if you forget to give your child a dose in the morning, skip it for the day since if you give it too late in the day, your child will likely have trouble getting to sleep that night. Although some parents don't give their children Concerta on weekends or holidays, many experts recommend avoiding these types of drug holidays. Johnson & Johnson participates in the Rx Assist Patient Assistance Program, where you may be able to get financial help if you can't afford to pay for your child's Concerta. Concerta Patient Information Sheet - October 2004 Edition.